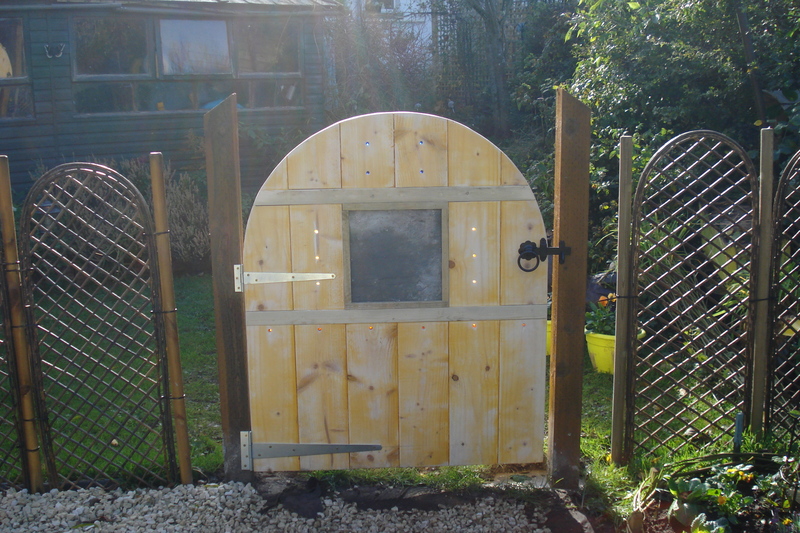 After many hours of planning, design, cutting, wood-carving and slate-carving, I finally installed this in the customer’s garden last week. 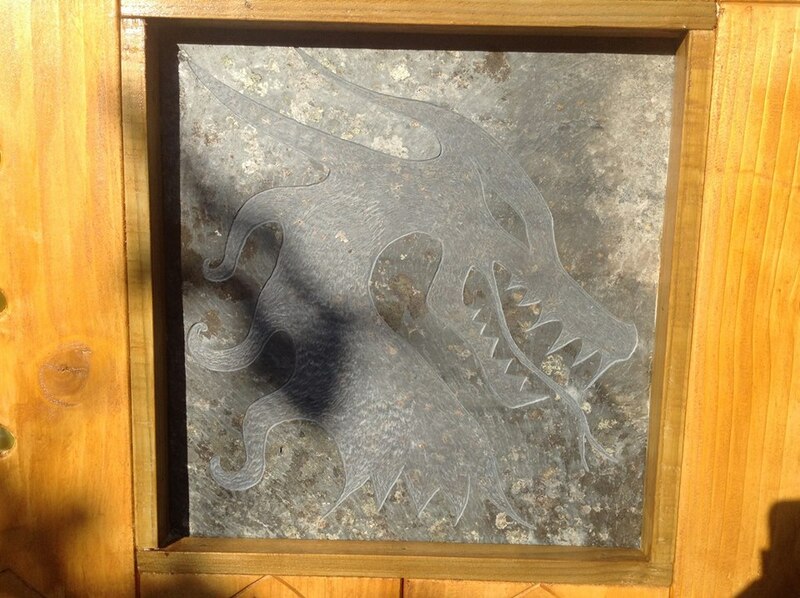 Assembled using half-lap joints, dowels and Gorilla Glue- I made this without using a single screw and the only nails are in the framing around the dragon head (design © Hatch, Burn, Carve/Martin Wilson). 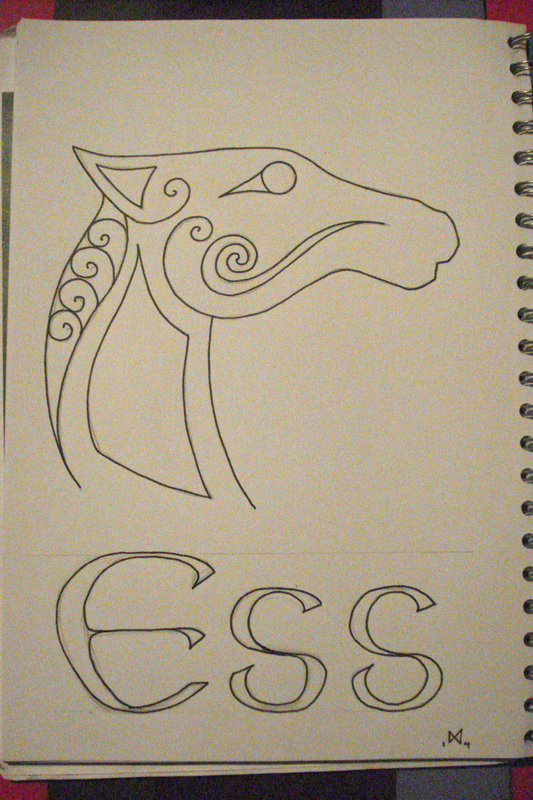 I based the design on the drawing and brief supplied, but I also used Phi (the Golden Ratio) to work out proportions and dimensions. 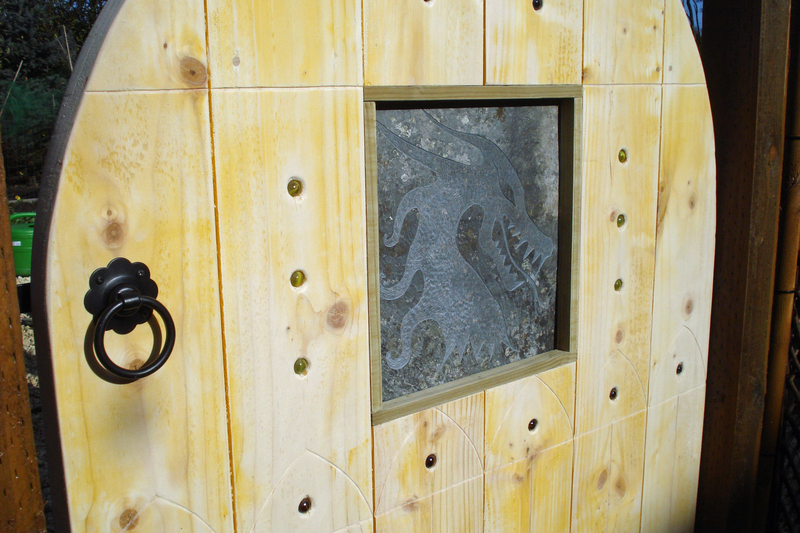 The details in the wood are all hand-carved. 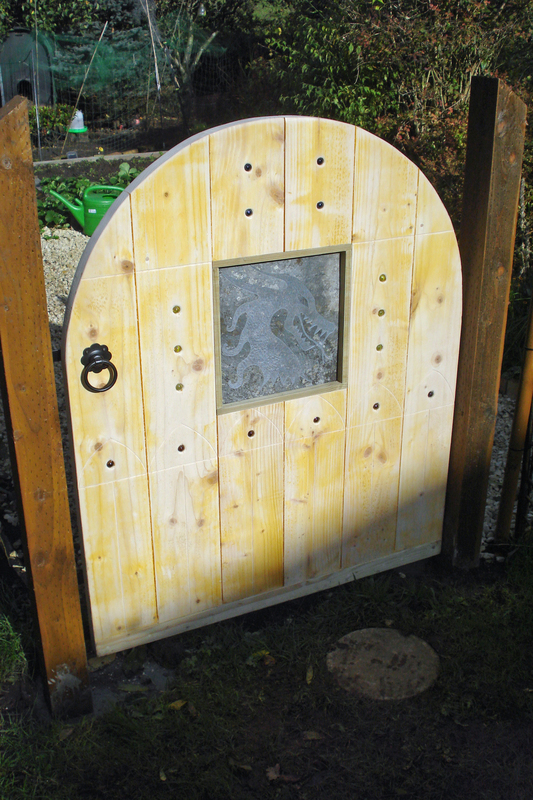 Marbles have been embedded in the wood to catch the sun and light up like LED’s. 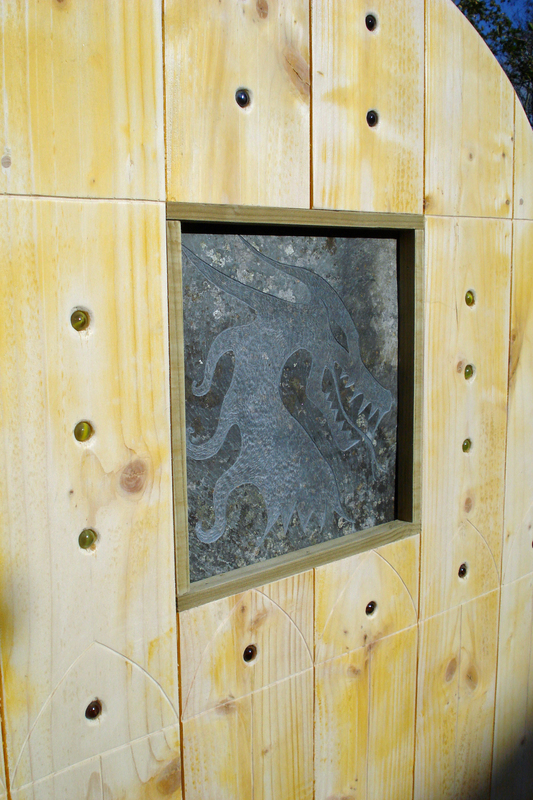 The dragon head after carving and before inserting into the gate. 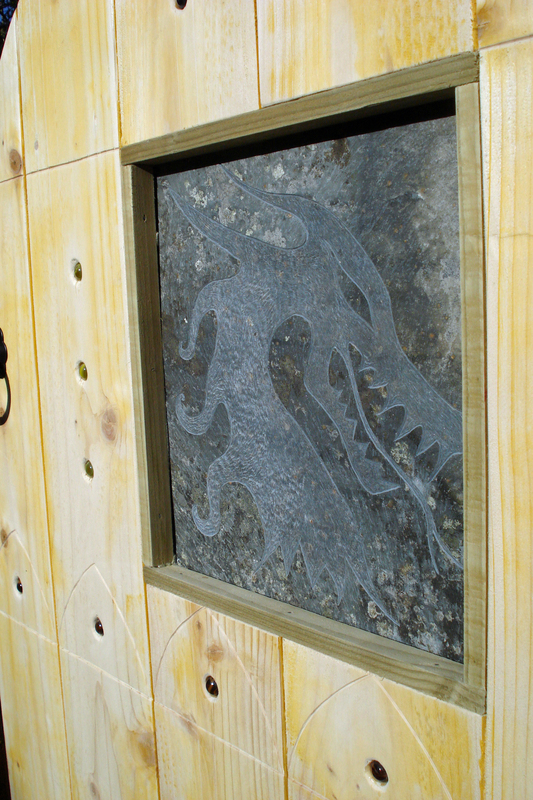 Carving the details into the wood. 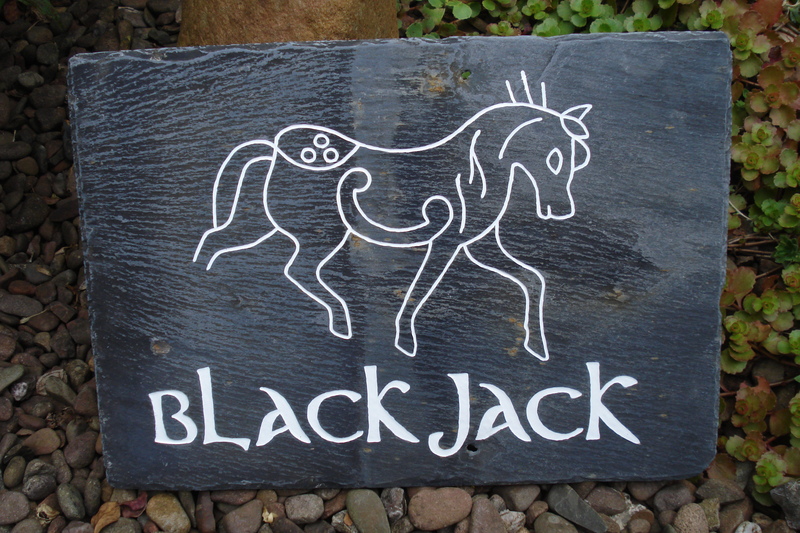 This stable sign was based on the Pictish horse design from the Class I Symbol Stone in Inverurie (but with added ‘spots’ as Blackjack has these). 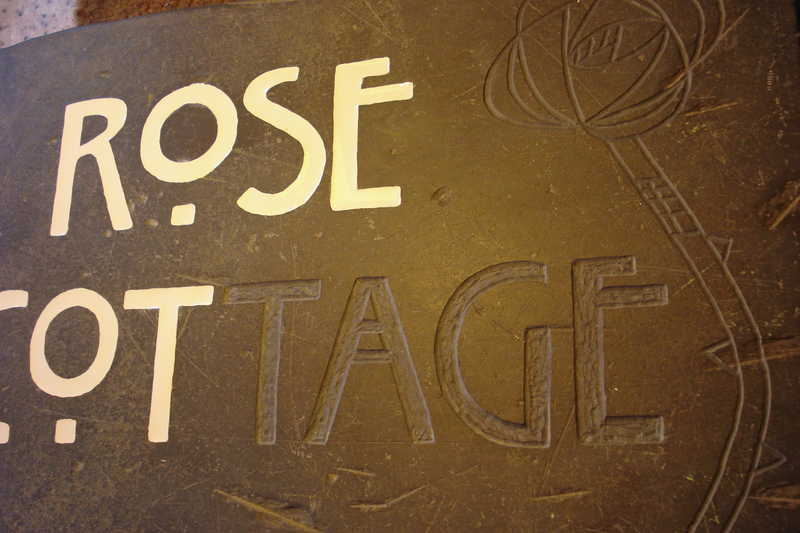 This was carved into a reclaimed roof slate and hand-enamelled. 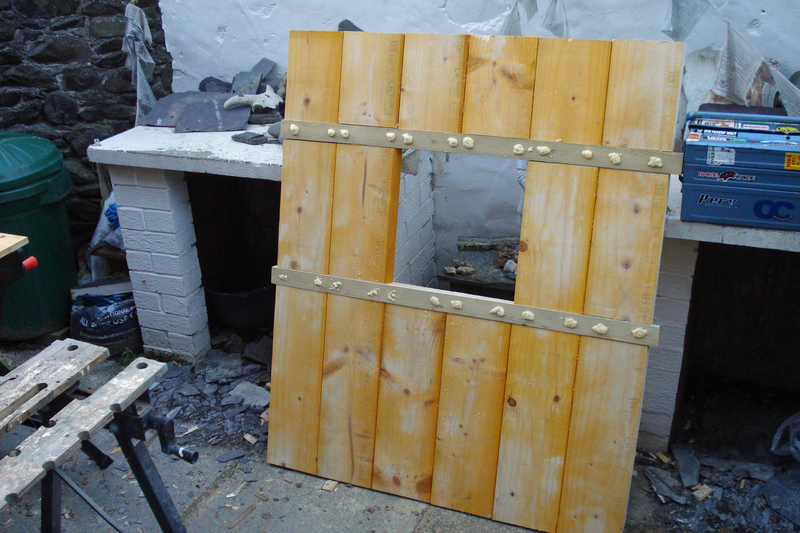 These are made from reclaimed mahogany and reclaimed Sheffield steel blades. 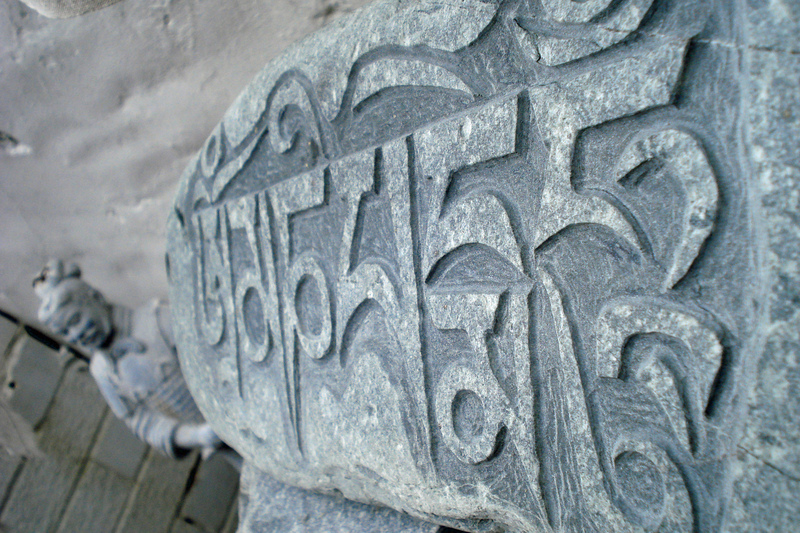 Each one is unique and I’m working on more just now. 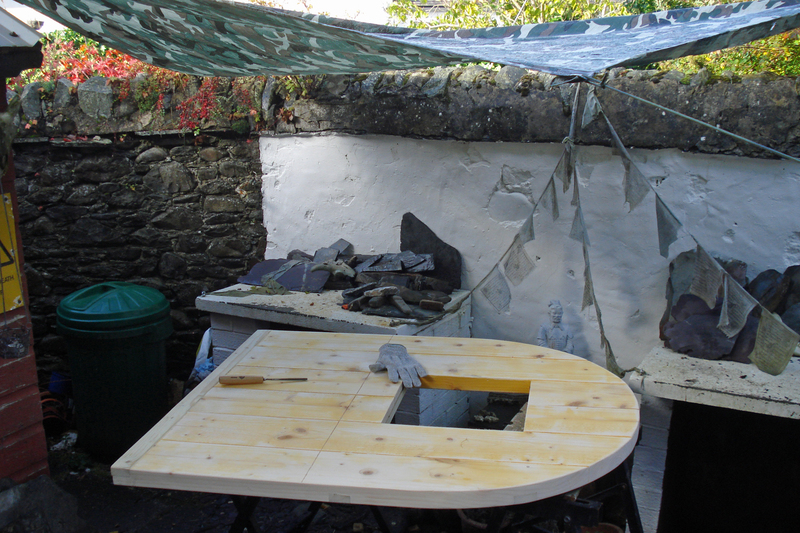 Completely hand made, from the cutting and shaping of the wood to the ultra-smooth sanding and waxing. 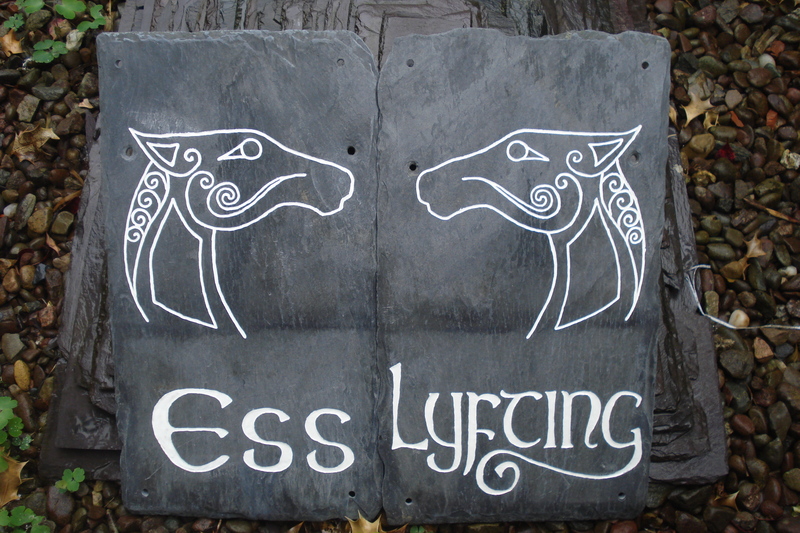 I was asked to create matching stable signs for two Icelandic Horses- ‘Ess’ and ‘Lyfting’. 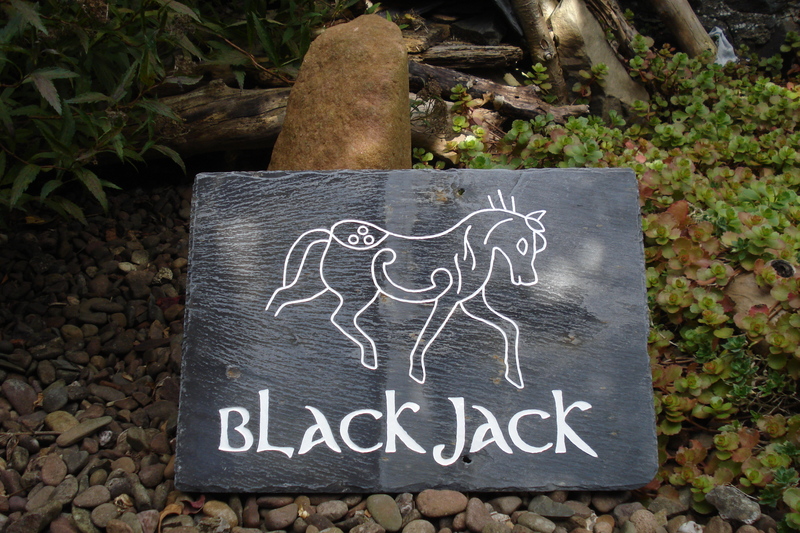 I drew the horse head, adding some classic Pictish spirals and carved these into two reclaimed roof slates (design © Hatch, Burn, Carve/Martin Wilson). 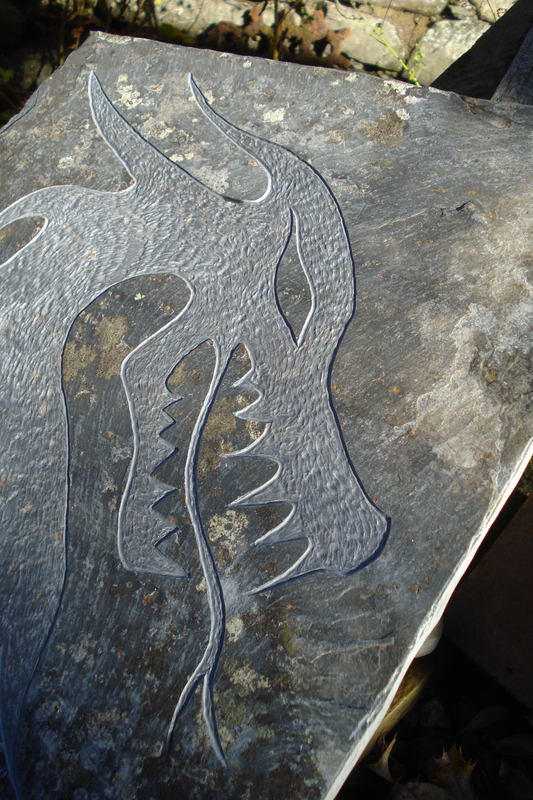 These were then hand-enamelled. 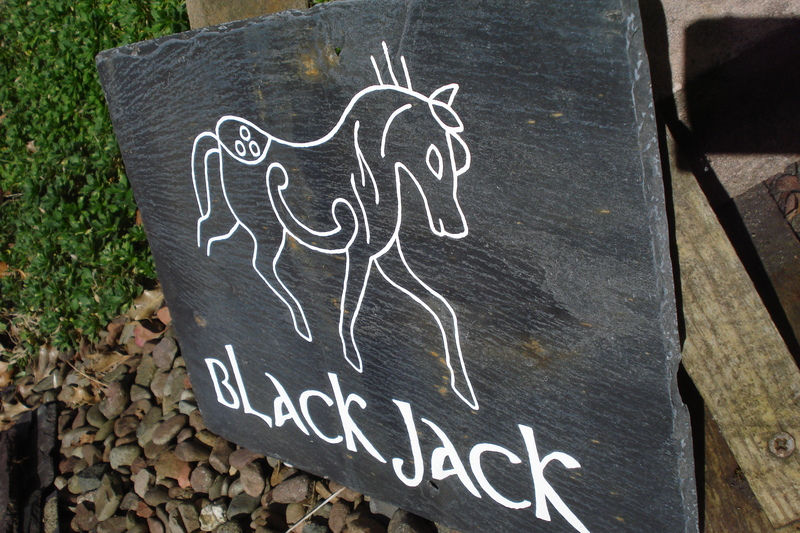 A recent house name commission- this was carved into a piece of reclaimed snooker table base. 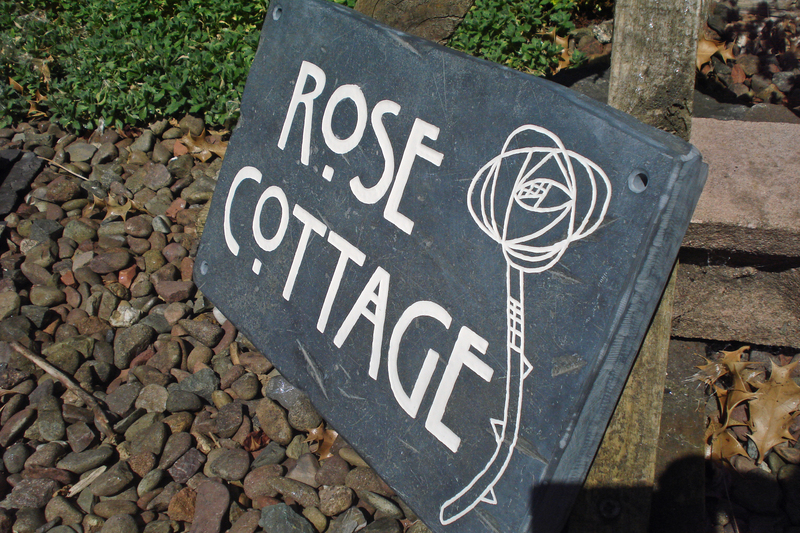 The customer wanted a Charles Rennie Mackintosh design- with a classic CRM rose (of course!). 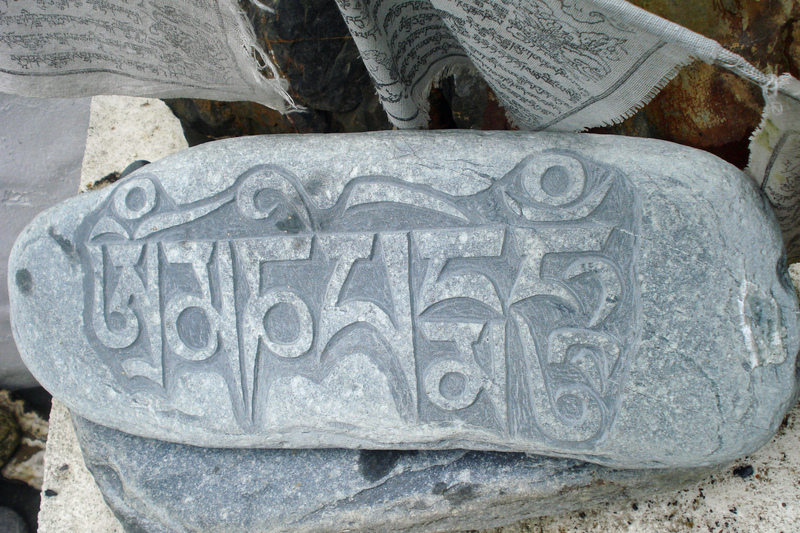 I carved another Mani Stone from a large piece of natural slate found on a North Cornish beach.